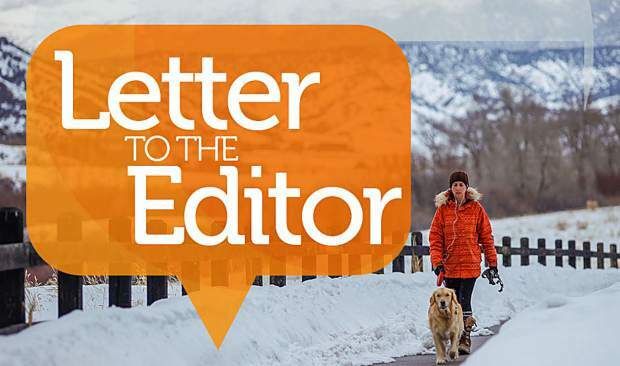 In response to the “negative nellyism” letter to the editor (“Eagle-Vail officials are tearing community apart,” Wednesday, Jan. 17): It’s easy to criticize the actions of the board members of the Eagle-Vail Property Owners Association. The above letter signed by Tracy Walters, Stephen Kirchner, Louise Funk, Erik Williams, Chris Romer, Betsy Laughlin and Mark Miscio has only negative things to say. Their comments are opinions and not accurate. They say, “Eagle-Vail has significant challenges (primarily capital reserve funding for infrastructure).” That statement is true. 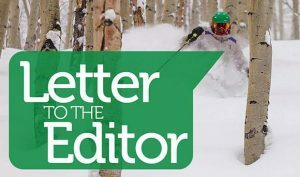 However, capital reserve funding is the Eagle-Vail Metro District board’s responsibility (who represent our recreational assets), not the Property Owners Association board’s responsibility (who represent our homeowners). The current election is the Property Owners Association, not the Metro District. This “bad-mouthing” and misleading info is coming from some who have not faithfully attended a board meeting in months. It’s questionable as to where their info is being gathered, or are they just trying to confuse and play political games with our good homeowners? The “newbies” running for the Property Owners Association (Lance Richards, Dan Ramker and Joanna Hopkins) have hitched their wagon to the “naysayers” above — or have the “naysayers” hitched their wagon to the “newbies”? Regardless, the “newbies” have not attended recent board meetings, either, nor been on any Eagle-Vail committees. Huh? I do thank them for their recent interest in, and good intentions for, our Eagle-Vail community. 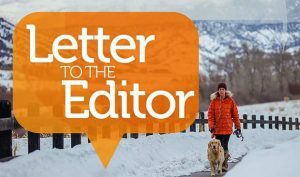 But I say to the “naysayers,” as a former Eagle-Vail board member for more than 14 years and still the head of the Eagle-Vail Finance Committee, that in this election, you should be telling the Eagle-Vail homeowners about candidates’ strengths and time availability — not slinging arrows at the opponents. The three current Property Owners Association board members (Judd Watts, Jake Jacobson and Steven Daniels) have spent more than two years learning the governing documents, listening and responding to resident complaints, grasping the legal constraints of what you can and cannot do, understanding the extensive financial data, absorbing historical info and overseeing the paid management — all for the inglorious privilege of serving our Eagle-Vail homeowners. There is mega time involved, not just four hours of board meetings per month. There is homework, volunteering for six community monthly Property Owners Association committees, squelching and reacting to constant and emerging “he said, she said” rumors and acquisitions, approving and creating e-blasts to the community, attending community events and inner-valley pubic relations, etc. Add it all up, and any board member or any well-intended future board member should and must commit to a minimum of 16 to 20 hours per month in representing the Eagle-Vail community. Please give credit to the existing board members for passing this exhausting “learning curve” and for their efforts and time spent. Their successes and failures are not over, and the same is true for any new or old board member. What’s important is to celebrate Eagle-Vail’s successes, know what is true and what is not, speak only of what you know to be true, and don’t encourage negative nellyism.